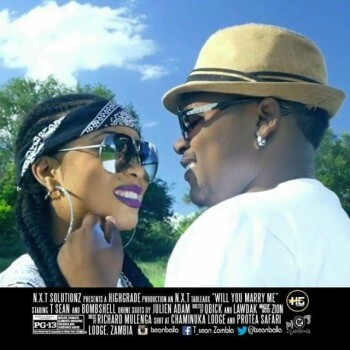 T-Sean released the video for his single “Will you marry me” . T-sean has set 26th May 2016 as a release date of his 2 albums; Faith and Confort Zone. One for the Local Market and Fans, and A strictly Dance-hall Album for an International Audience respectively. Video directed by Qbick and Lawdak of NXT Solutions . The place where they made this video of far much better than the song itself, No wonder Zambian musicians are poor because no one can spend money on this type of cr…p.